Having been a bride myself, I understand the importance of picking and choosing the perfect dress for your wedding day, and keeping it in pristine condition for the ceremony! With adventurous weddings, however, it's usually pretty tough to keep the dress immaculate before and during the wedding day. We're usually hiking to locations or finding the nearest field or forest for portraits. There are dusty trails, muddy spots, tall grass and usually bugs that LOVE white wedding dresses. I remember the day that I bought my own wedding dress, the consultant told me that it came with "free preservation" of the dress. I had never really heard of dress preservation, nor really knew the correct way to have the dress cleaned and stored after our wedding day. Now, Andrew and I got married on the beach, so all that was really there to dirty the dress was sand and the ground around the pool at the reception. Luckily, I don't believe any beverages or food had been spilled, or anything that really made me have the dress cleaned, so mine has been stored in its bag in my closet (shame, shame)! This recent wedding season, I've had a few muddy bottomed dresses on my brides, so I thought it would be great to chat with someone who really knows their stuff when it comes to bridal gowns to ease the stress and worries my brides have about getting the dress dirty! Through my local networking group, I've been able to meet and chat with Kristie Johnson, the owner of Annie's Room in Kingsport, Tennessee! Annie's Room is one of the leading bridal boutiques in the Tri-Cities, offering not only wedding dresses, but also bridesmaids and prom/special occasion dresses! 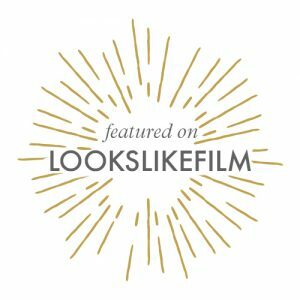 I gathered a few questions and sent them over to Kristie for an interview Q&A all about dress cleaning and preservation! Q: What is the difference between getting the dress cleaned and getting it actually preserved? A: After the gown is cleaned, the preservation process continues with a second inspection that all stains are removed. Next, the gown is hand pressed and placed in an acid-free preservation box and professionally sealed. This protects the gown from being exposed to air, smoke, and even water if the outer box gets wet. This prevents the beading from tarnishing and fabric changing color. Q: What is the preferred time span to get your dress cleaned/preserved? A: We recommend getting your dress cleaned/preserved when you get back home from your honeymoon (this prevents any stains from really setting in) and sometimes we have a family member drop the dress off that Monday following the wedding. Of course, to have had customers wait several years and still have great results. It is what works best for you time and budget. Q: What is recommended to use to spot clean it if you were to get food/drink/make-up etc on it on the day of the wedding and immediately after? A: My go-to spot cleaner is Rit Super Stain Remover (I order online) cold water and a white washcloth. Q: Where is the best place to take the dress for cleaning- can you take them to the local dry cleaners? A: Yes, we use local cleaners for our inventory at times, but I recommend taking the dress and letting them look at it. I have had some cleaners who will not touch and some will have me sign a damage waiver and do a great job. Q: Stains from dirt- are they removable? Do cleaners remove any bugs that may have gotten caught in any of the tulle in the dress? A: Honestly, it depends on how bad and deep the dirt is set in. I have seen grass stains come out and others not budge. Same for bugs-- I always say prevention is key. If you have a bridal portrait session before the wedding, take sheets and just be cautious. If you have an outdoor wedding day venue or reception and you aren't changing dresses, I recommend several bustles to get your dress off the ground as much as possible. Q: What are the best types of dresses for adventurous weddings/elopements - easiest to clean (easier fabrics or easier designs)? What are fabrics brides may want to stray away from if they are planning on hiking etc.? A: All specialty fabric is delicate, but I would avoid chiffon (it picks so easy) and soft netting & tulle (picks easy and tears easier). I recommend satin or jersey lined lace, satin, jersey or crepe. Q: Can lace and sequins or other details on the dress be repaired if they are ripped or fall off during the wedding/session? A: Yes, some designers send extra beading with the dress and some do not. I recommend ordering extra if you do not have a beading pack and also have the seamstress you work with save all beading, lace and fabric that is removed from the dress during the alterations process. All-in-all, Kristie says that prevention and preparedness is key to keeping your dress in fantastic condition before and after your wedding day. I loved that she mentioned that she recommends a family member drop off the dress for cleaning the day after the wedding. We all know that trying to clean up the venue and pack/leave for a honeymoon can sometimes be stressful for a bride and groom. If you prepare and delegate jobs, though, it can be easier to check these important items off the list. Also, something I would never have thought of that Kristie mentioned is making sure your alterations seamstress keeps any material, lace, beading, etc from the dress. This can always be used to mend parts of the dress that may get damaged while you're having a great time on your wedding day. I hope that hearing all of these tips and information brings some ease from stress and relaxation to all adventurous brides out there! Don't be afraid to wear your dress down that trail, or go into the woods with it. Just pick up that train and go! Huge thanks to Kristie Johnson at Annie's Room for taking time out of her day and busy wedding season to answer my dress cleaning questions! Brides- if you're looking for a wedding dress in the Tri-Cities of Tennessee, you should definitely make an appointment at Annie's Room. 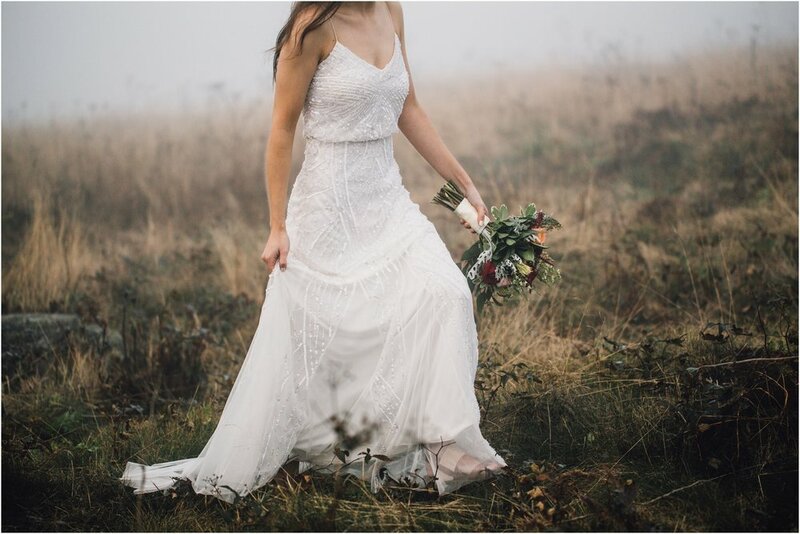 They truly go above and beyond for their brides and have a stunning collection of adventurous and boho wedding dresses (plus many other styles too)!